On the advice of a reader, I just purchased a book in Hebrew for toddlers. On the cover is the title, Shafan, with a stripe of black paint over it. Beneath it is the animal who painted it over: an angry rabbit! The book is about how this rabbit is very angry that everyone calls him by the wrong name. Instead of calling him arnav, which is the proper name for "rabbit," he is called shafan. Eventually, he leaves town in disgust, and goes to find the real shafan in the wilderness - a hyrax. They switch places, but it doesn't work out too well - the rabbit does not like living in the wild, and the hyrax doesn't like being pulled out of a magician's hat. And so the story ends with the rabbit going back to his old life, and hoping that writing this book will help people call him by the right name. The transposition of the rabbit with the hyrax is, of course, a classic case study for Biblical zoology. But the book deals with other transpositions, too. During the course of the story, the rabbit goes to a therapy group for animals that are frustrated due to their often called by the wrong name. There's an eagle that is complaining about being called a nesher and a tiger that is called ticked-off about bein called a namer, amongst others. The transposition of nesher from vulture to eagle is a case similar to that of the shafan. Just as the name shafan was transferred from the hyrax to the rabbit due to there being no hyraxes in Europe, so too the name nesher was transferred due to the eagle's status as the king of birds in Europe. But the transposition of the namer from the leopard to the tiger is more difficult to understand. 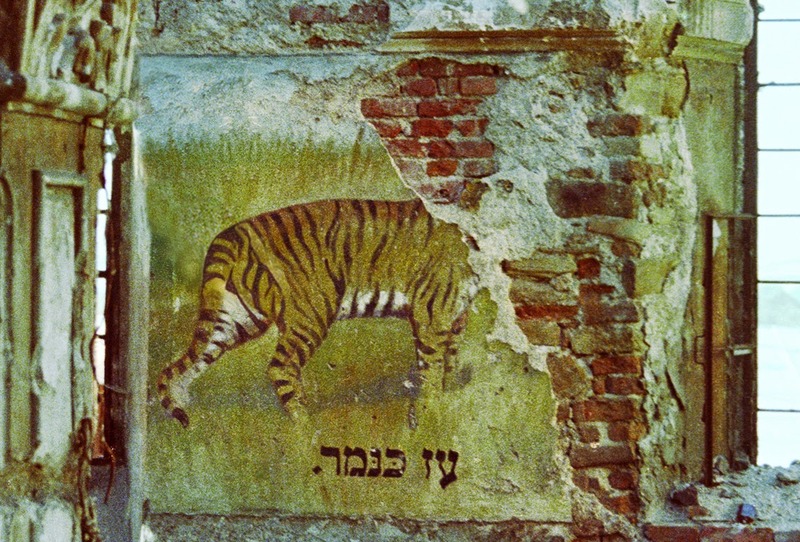 It is a very common error - see, for example, this painting from the 17th century Rymanow synagogue. Yet tigers are not found in Europe either. I am still trying to figure out the cause of this transposition. I'm not sure what the message of the book is for its intended readership, but I enjoyed it immensely! I would imagine it has to do with the fact that Tigers, despite not being particularly native to Europe, were exotic animals that were traded and paraded around occasionally by kings and emperors who had long imported them. The Greeks and Romans were very much interested in importing exotic animals from far away for personal purposes, e.g. Elagabalus who enjoyed a particular prank where he would invite guests to his house and place a Tiger in their room to devour them. care to be a scholar in residence in my shul in the midwest? Maybe there weren't that many tigers in Europe, but they were still better known? I think to this day English speakers learn about lions and tigers long before they learn about the other big cats (leopards, cheetahs, etc.). Maybe there was just more communication with India than with Africa. The question is not as much whether tigers existed in Europe as whether Europeans were familiar with tigers. By the 17th century they doubtless were, as Europeans were circumnavigating the globe and setting up colonies/trading posts throughout Africa and the Far East. The European discovery of tigers would be interesting to trace. From Wikipedia:"In the past, tigers were found throughout Asia, from the Caucasus and the Caspian Sea to Siberia and the Indonesian islands of Java, Bali and Sumatra." I think the message is pretty straightforward. 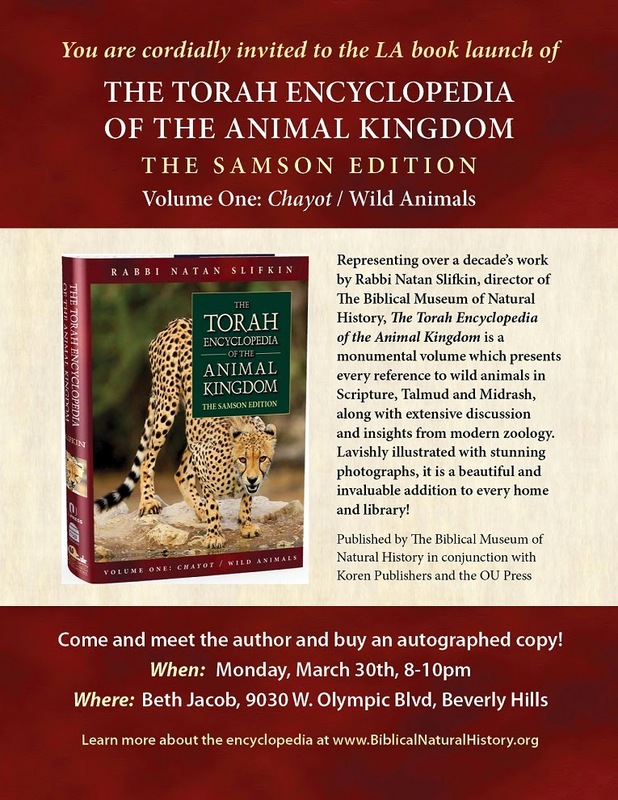 To teach Hebrew-speaking children the right words for animals, so they won't continue the mistakes of prior generations. I wholeheartedly approve. We see the same things in English. For instance, koalas and pandas are incorrectly called bears by most people. Panda are indeed in Ursidae. It is koalas that aren't bears. There are marsupial equivalents of lots of placental mammals- there are marsupial "dogs" and "rodents" and the like. For those purposes, koalas are sort of bears. Pandas were thought to be raccoon-like for a while, as red pandas most certainly aren't bears. But now they're known to be unrelated. I guess Shamino meant the Red Panda. Ok. I will give it my best shot at the Namer question: Leapards (I don't think) are indigenous to Europe, but as more exotic animals were being brought into Europe from the "Exotic East," people started becoming more acquainted with the Tiger. Since that was the only wild cat they ever saw, they assumed it was the namer. Of course, they couldn't help but know about lions as well. I'll never think of Nesher Hagadol or Canfei Nesharim the same again! What's too funny is, I read the headline (three times!) as "Angry Rabbis," not realizing my mistake until reading the full article.